Allison Tait (A.L. Tait) is the internationally published bestselling author of middle-grade adventure series The Mapmaker Chronicles and the new Ateban Cipher. 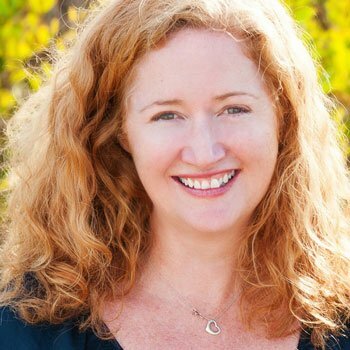 A multi-genre writer, teacher and speaker with more than 25 years’ experience in magazines, newspapers and online publishing, Allison lives on the south coast of NSW (Australia) with her family. Race To The End Of The World, the first book in The Mapmaker Chronicles series was published in October 2014, and was shortlisted for the Readings Children’s Book Prize 2015 and named a Notable book in the CBCA Children’s Book Of The Year Awards 2015. Book #2, Prisoner of the Black Hawk, was released in April 2015, and was shortlisted for the 2015 Aurealis Awards (Best Children’s Fiction) while Book #3, Breath of the Dragon, followed in October 2015. 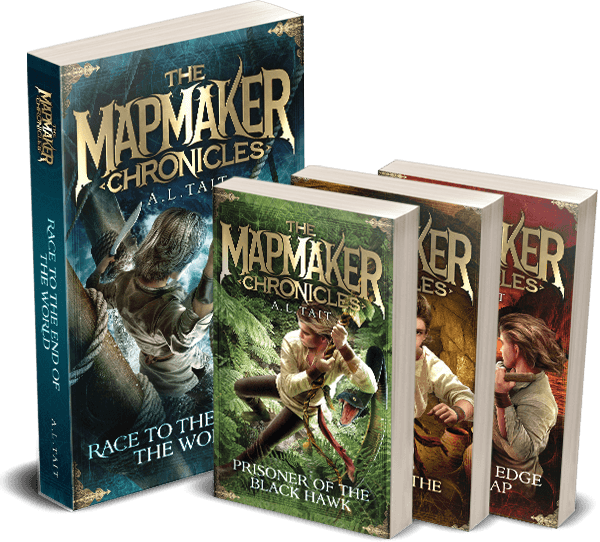 The Mapmaker Chronicles series is available in Australia, USA, UK, Lithuania and Turkey. Beyond The Edge Of The Map, book #4 in the series, is out now! For more information about The Mapmaker Chronicles, plus Teachers’ Notes and other resources, click here. The Book Of Secrets, book #1 in the brand-new Ateban Cipher series, came out in September 2017 in Australia, and January 2019 in the USA. Read more about it here. 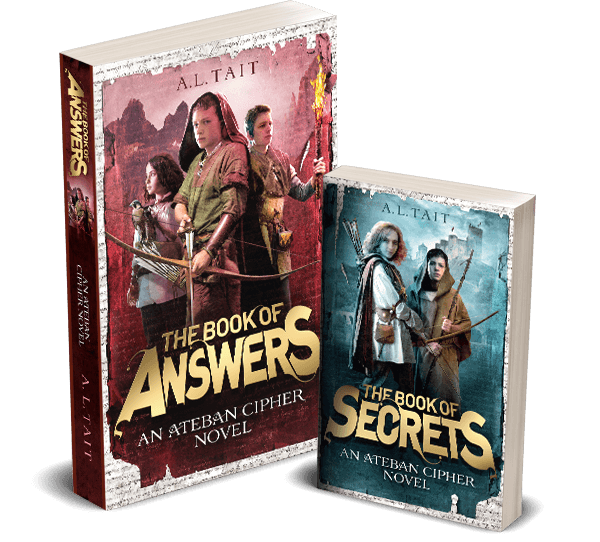 The Book Of Answers (Ateban Cipher #2) is out now in Australia and the USA. You can hear Allison talk about the book and her love of adventure stories for kids here. In recent years, Allison has shared her passion for writing and creativity at numerous events for children and adults, including Singapore Writers’ Festival, Brisbane Writers’ Festival, Sydney Writers’ Festival, Somerset Celebration of Children’s Literature, Emerging Writers’ Festival (NSW Writers’ Centre), and Romance Writers’ of Australia Conference, among others. You will find more details about school visits, workshops and other presentations here. Allison’s podcast So You Want To Be A Writer, co-hosted with Valerie Khoo of the Australian Writers’ Centre, has been rated by iTunes as the #1 Literature/Writing podcast in Australia, and her on-demand course, Build Your Author Platform, is a popular addition to Australian Writers’ Centre program. Other courses include: Make Time To Write, which will show you how to fit writing into your life NOW, or the Creative Writing 30-Day Bootcamp, which will add a guaranteed 10,000 words to your current draft or a new manuscript. Allison’s brand-new course for children, the Creative Writing Quest For Kids, is open for bookings right now! Find out more about it here. Allison is a board member of the Shoalhaven Readers’ and Writers’ Festival, and was the director of the children’s program for 2018 festival, a role she has undertaken again in 2019. In January 2019, Allison was honoured to receive a Shoalhaven City Council Australia Day Award for Outstanding Contribution to Arts and Culture. For more about Allison, updates on her latest books, writing tips, reading notes, and more, sign up for her monthly newsletter.